Audis are one of the most popular German luxury vehicles on the market. Their signature logo of four interlocking circles is a symbol for comfort and style. A vehicle of this caliber deserves top quality care. That’s where the expert Audi repair mechanics at Baldwin’s German Autowerks come in! 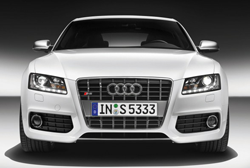 We guarantee our Audi repair services in Novato, Belvedere, & Tiburon! Our mechanics are factory-level trained and ASE Certified Technicians. Utilizing our state-of-the-art diagnostic equipment and authentic Audi parts, Baldwin’s German Autowerks provides the best Audi repair services in Novato, CA and the surrounding Belvedere, Tiburon and Marin County communities! Having been a local auto repair shop specializing in Audi repairs since 1989, we know the ins and outs of these automobiles, and can properly service, repair and maintain all Audi models and years. Plus, we guarantee our Audi repairs with a 36 month/36,000 mile warranty on parts, so you know your vehicle is in the best hands! Take advantage of our convenient, free local shuttle service! At Baldwin’s German Autowerks, it’s not enough to just fix your car: we want you to have the best Audi repair experience in Novato, Belvedere, Tiburon and Marin County! We invite you to take advantage of the free local shuttle service we provide, as well as the free Wi-Fi Internet in our comfortable waiting area! And for longer repair services, make sure to ask about the loaner cars that are available to you. Everyone here at Baldwin’s German Autowerks is truly here to serve you, and help you keep your Audi in top shape!